In winter, Europe comes alive with twinkling lights, festive songs, glistening snow, and alluring scents. But perhaps most festive part of Europe during the holidays are the Christkindlmarkts. 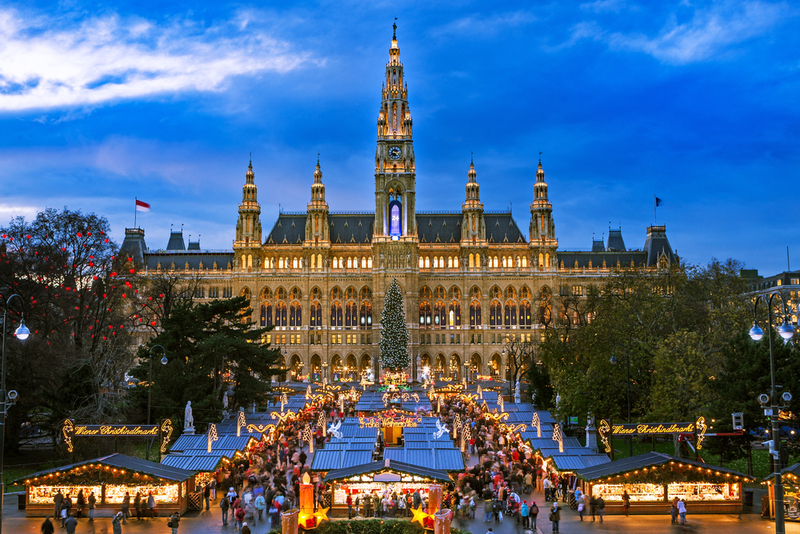 This dose of holiday cheer originated in Vienna in 1294, and the holiday tradition has continued almost uninterrupted to this day throughout the continent, with the most famous and beloved being held in Germany, France, and Austria. 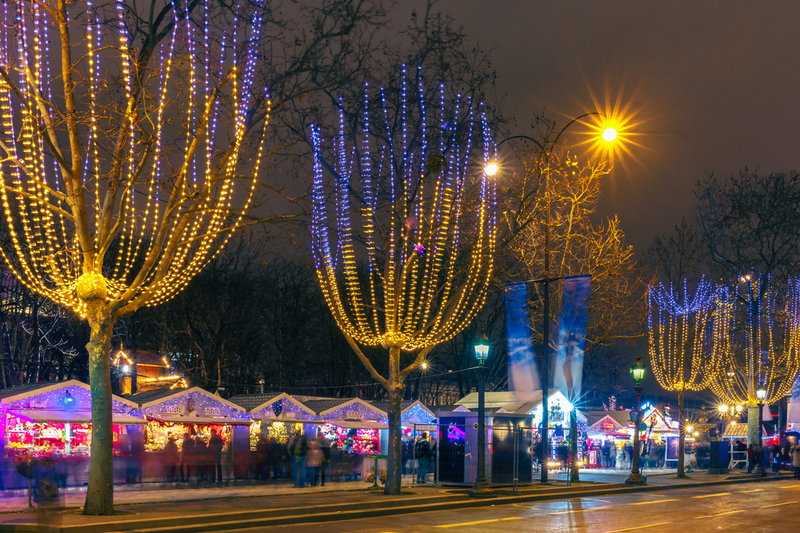 Make sure to plan a festive trip to a winter wonderland with the Christmas markets. While similar Christmas markets dot cities around the world, including several markets in New York City alone, there’s something special about walking the streets where these celebrations have taken place for centuries. And every market is unique. Some boast reindeers, while others feature skating rinks and pageants. Every market, however, stuns with trees, lights, stalls, and best of all, a nearly endless smorgasbord of holiday treats. If you’re looking to munch on tasty delicacies while going from stall to stall, the Christmas markets are chock-full of homemade local delights, like gingerbread, sausages, and fruitcake. Make sure to wash it all down with glühwein, a hot mulled wine that keeps the chill at bay while fortifying you for another round of shopping! But what should you buy while you’re there? The answers are as endless and varied as the markets themselves. In Stuttgart, teddy bears are a traditional souvenir. In Nuremberg, pick up some “prune men” (or zwetschgenmännie), small figurines made of dried fruit and walnuts (but don’t eat them!). In Vienna, you’ll find hand-painted tin ornaments, and Budapest is home to stunning Hungarian ceramics. 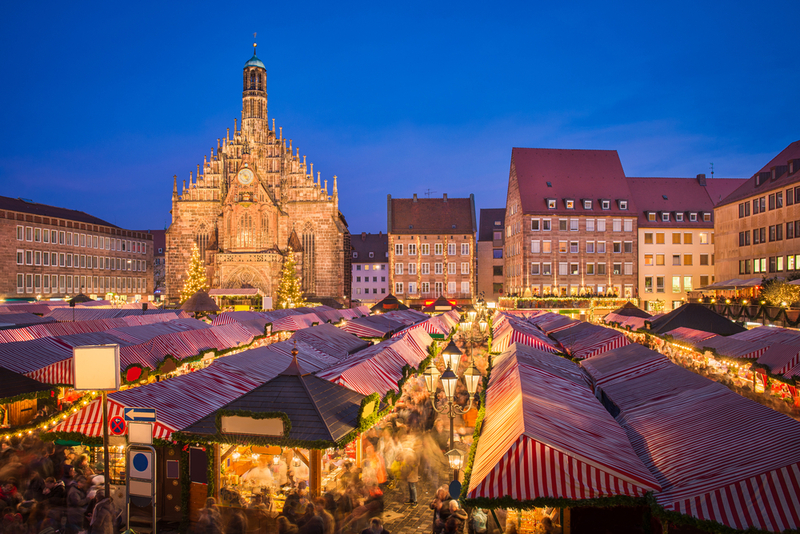 A celebrated tradition, Christmas markets welcome patrons in almost every major European city, so if you visit between the second week of November and New Year’s, you’re almost guaranteed a market in the destination of choice. Most offer free entry, allowing you to save your Euros for delicious souvenirs and holiday treasures. 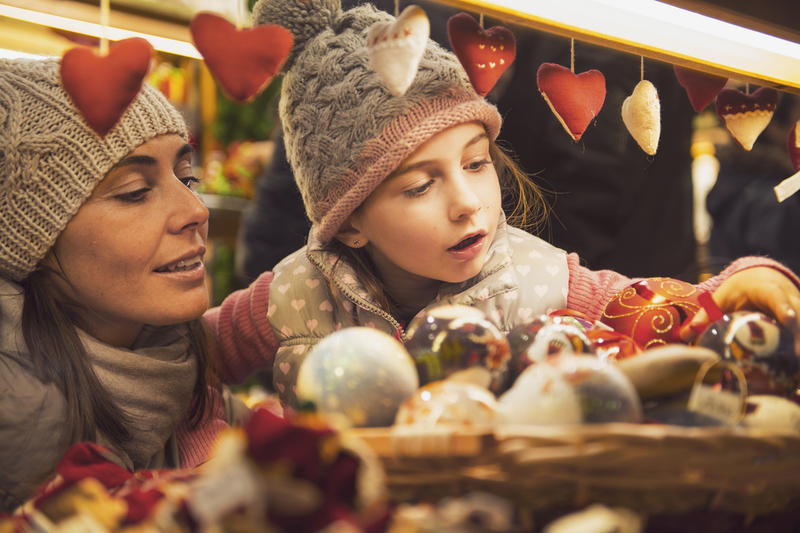 If you’re looking to visit more than one holiday market and city, then tour and river cruise companies offer excursions dedicated specifically to Christmas markets. Just one of Viking River Cruises’ holiday itineraries, for instance, includes stops at the Christmas markets in Heidelberg, Wertheim, Bamberg, Nuremberg, and the walled medieval city of Rothenburg with its Christmas Museum. Need help deciding which Christmas market city to visit? In London, you can enjoy a traditional market near the Tate Modern with wooden chalets and classic treats, or stop by the unforgettable London Bridge City Christmas Market. Paris presents the traditional markets with trinkets, gifts, and grog along Saint-Germaine-des-Prés, on the Champs-Elysées, and Trocadéro, and don’t miss out on the famous window displays at Galeries Lafayette. Berlin offers more than 60 different markets, including those at Gendarmenmarkt Square, Potsdamer Platz, and Charlottenburg Castle, while Bremen shines with romantic lights, a historic setting, and festive booths, and this market is considered to be one of the best in Germany. Strasbourg’s Christkindelsmarik is one of the oldest markets in Europe and the oldest Christmas market in France, dating back to 1570. Routinely named one of the best Christmas markets in all of Europe, it’s an experience that cannot be missed when visiting during the holidays. Which markets are you most excited to visit? Tell your travel agent and start planning your last-minute holiday getaway to Europe now.